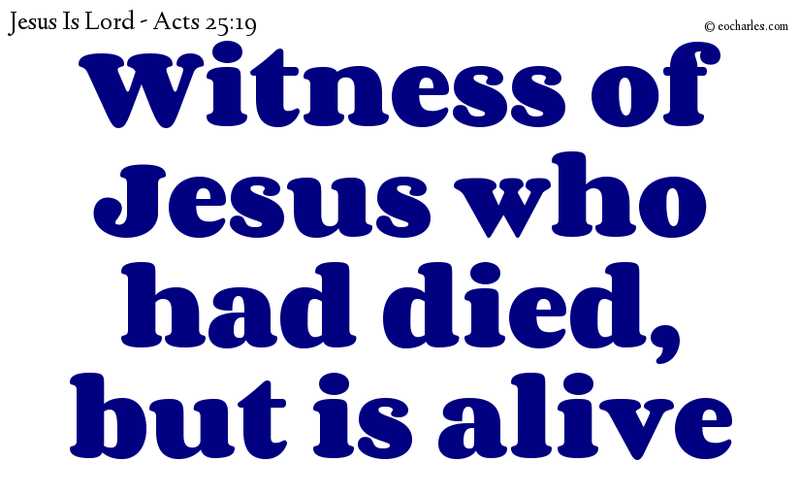 Instead, they had several arguments with him about their own religion and about a certain Jesus who had died but whom Paul kept claiming was alive. 1)Rev 1:18 And I was dead, and see, I am living for ever, and I have the keys of death and of Hell. 1. ↑ Rev 1:18 And I was dead, and see, I am living for ever, and I have the keys of death and of Hell. Previous Previous post: Do not lose heart, get up! Next Next post: Immanuel, God with us.